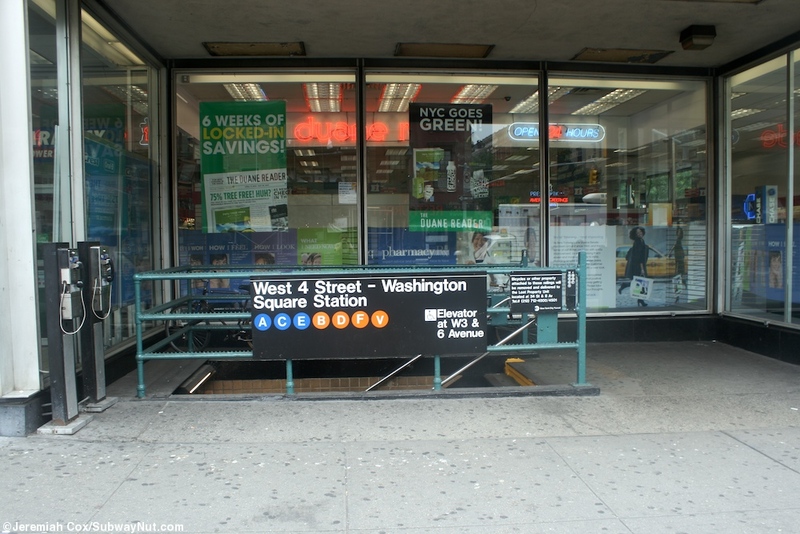 West 4 Street-Washington Square is the one IND complex connecting its two truck subway lines and is an example of transfer efficiency if the subway was built by just one and not competing companies especially in the large mezzanines IND style. 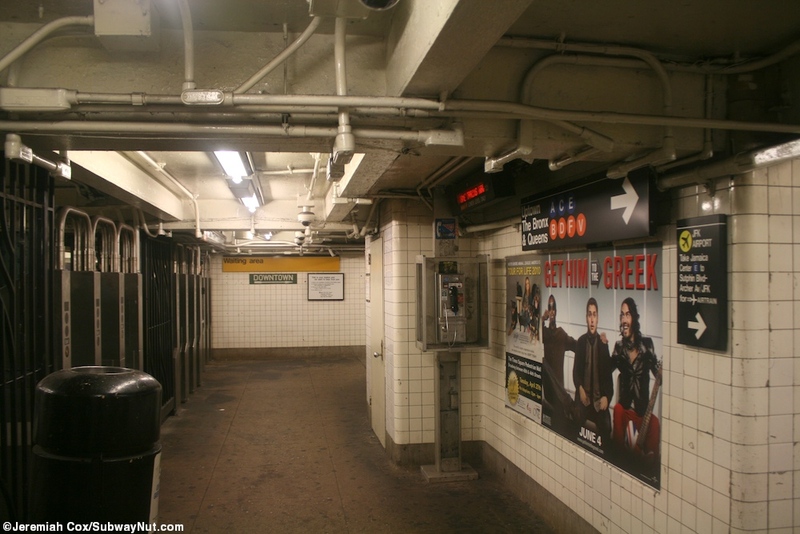 Just south of the station there are even crossover switches between the 8 and 6 Avenue local tracks used frequently for reroutes because of construction. 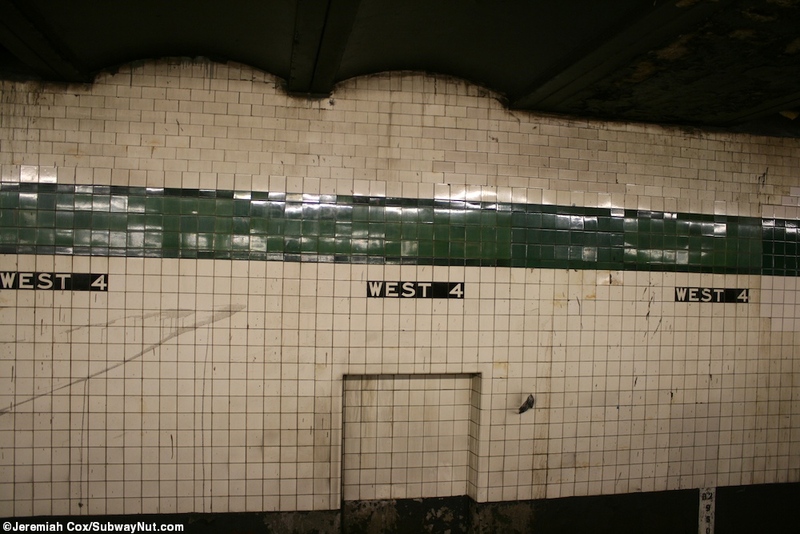 All the station walls have a trimline of green with a black boarder and West 4 written beneath in tile, there are also numerous green columns throughout the entire station. 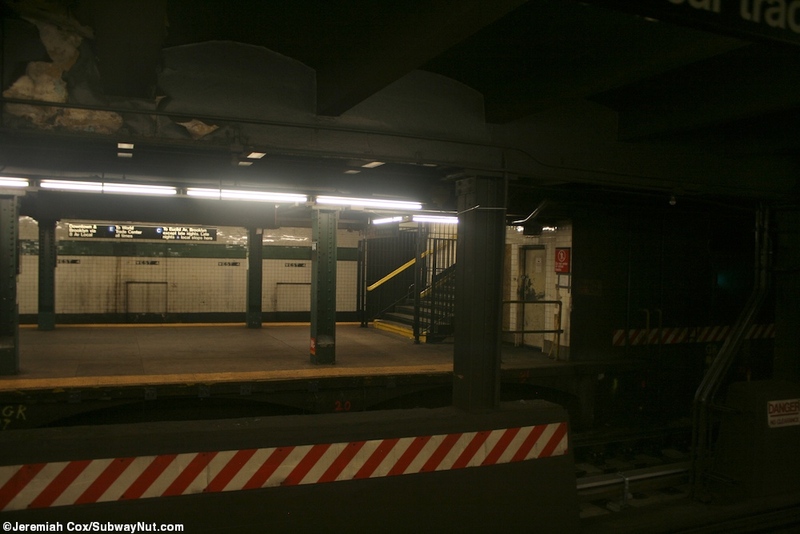 The stop has three levels, the four 8 Avenue Line tracks and their two platforms are on the upper level, the four 6 Avenue Line tracks and their two platforms on the lower level. 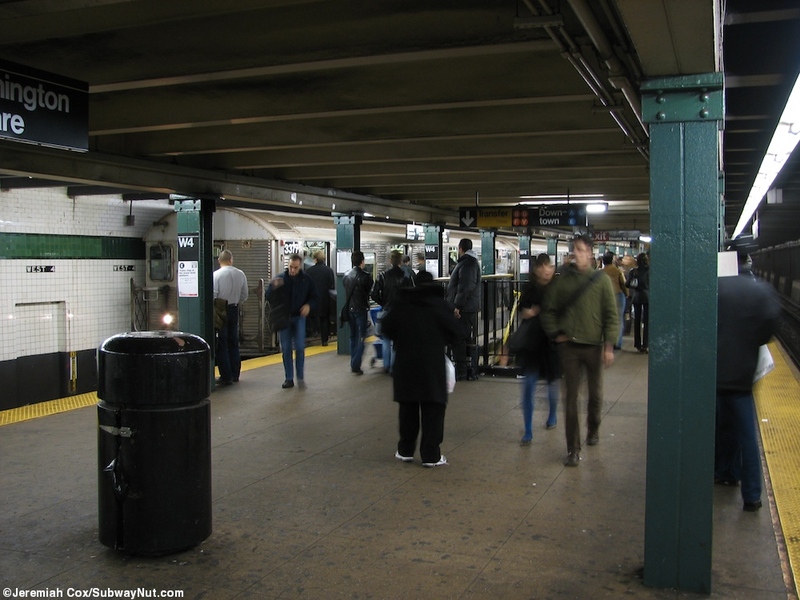 Between the two levels is a full-length mezzanine with numerous staircases up and down to both levels along with elevators connecting all 3 towards the middle of the platforms. 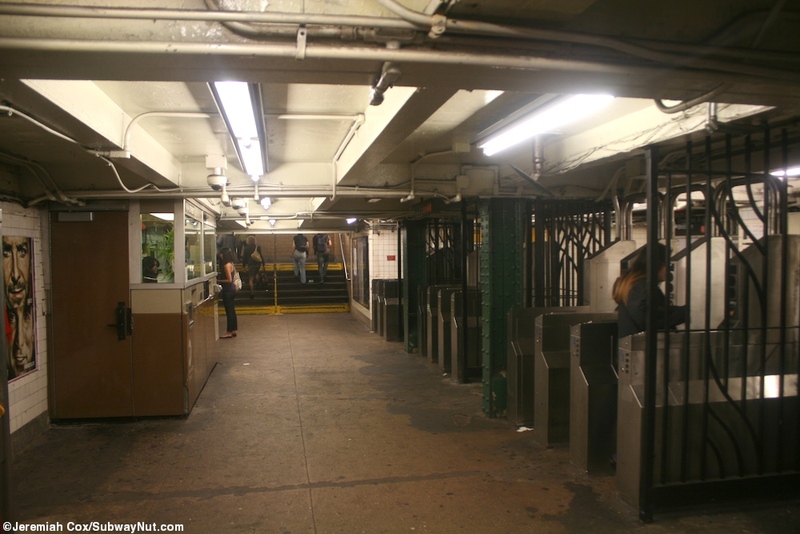 There is also a single up only escalator (a total of 2) from each lower level platforms to the upper level platform bypassing the mezzanine. 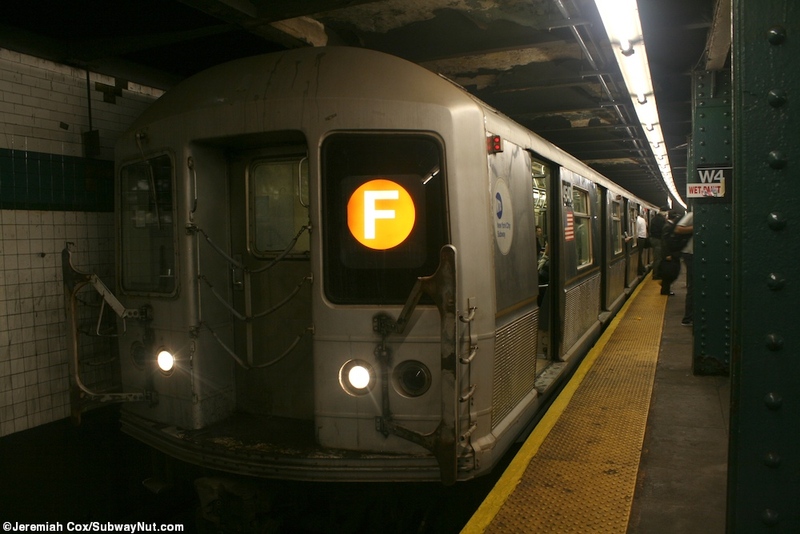 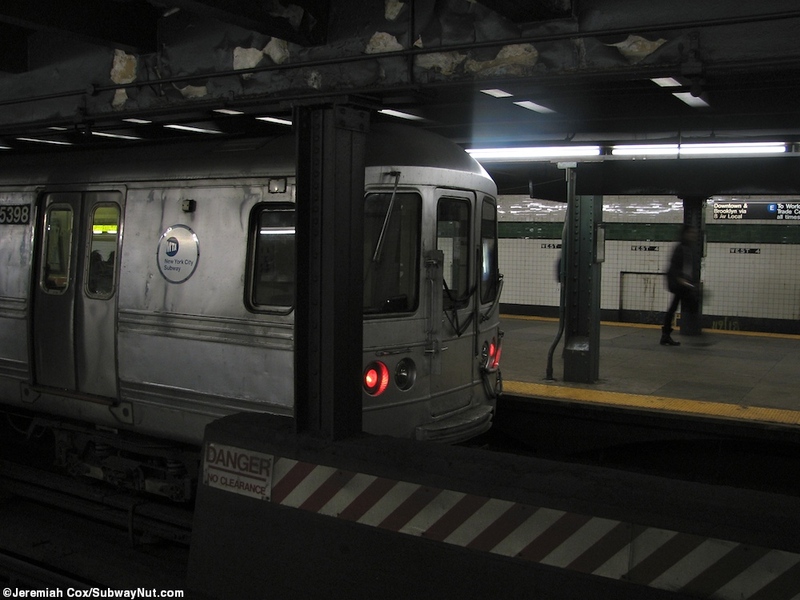 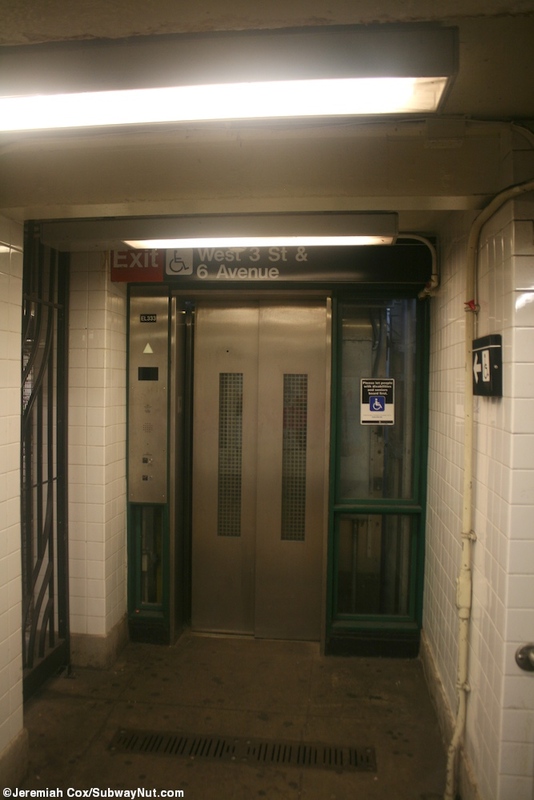 All of the station exits are accessed directly from the upper level 8 Avenue subway platform. 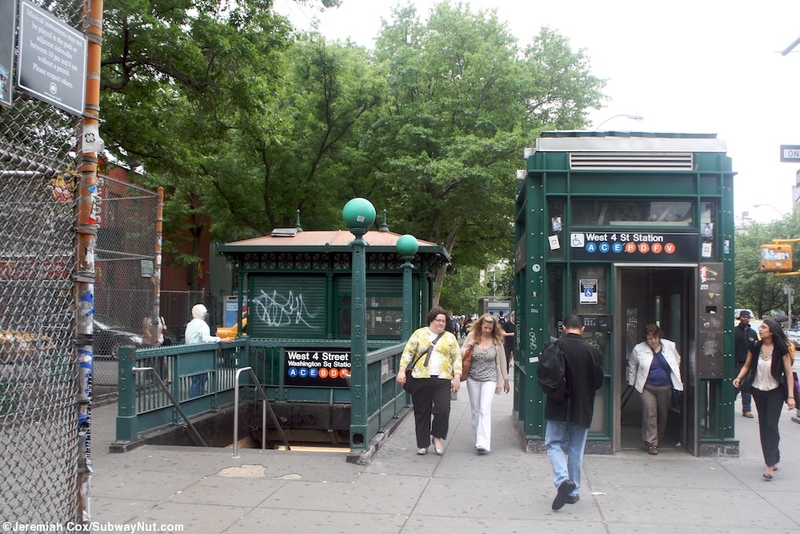 At the southern end of those platforms ADA compliant ramps lead up to a small mezzanine area with the 24 hour token booth and turnstiles, there is the street elevator and a streetstair at the NE corner of 6 Avenue and West 3 Street, and another right across on the west sidewalk where West 3 Street ends. 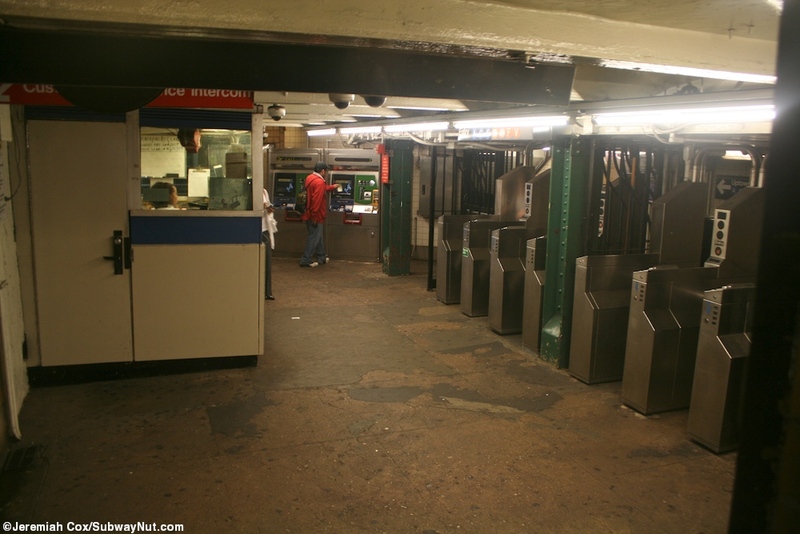 At the northern end a single staircase leads up from each platform to separate small fare control areas. 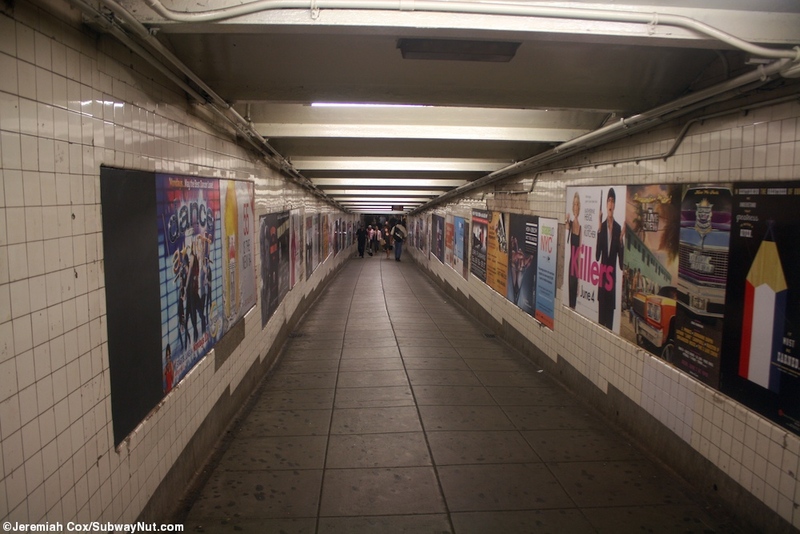 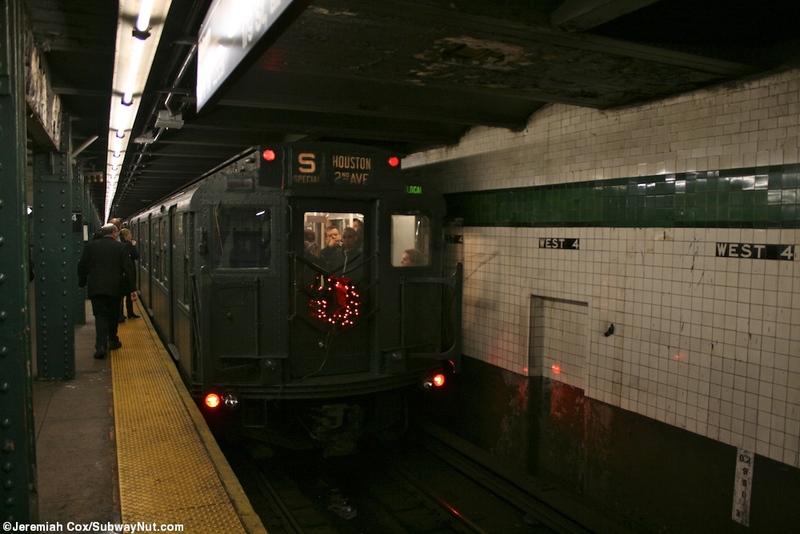 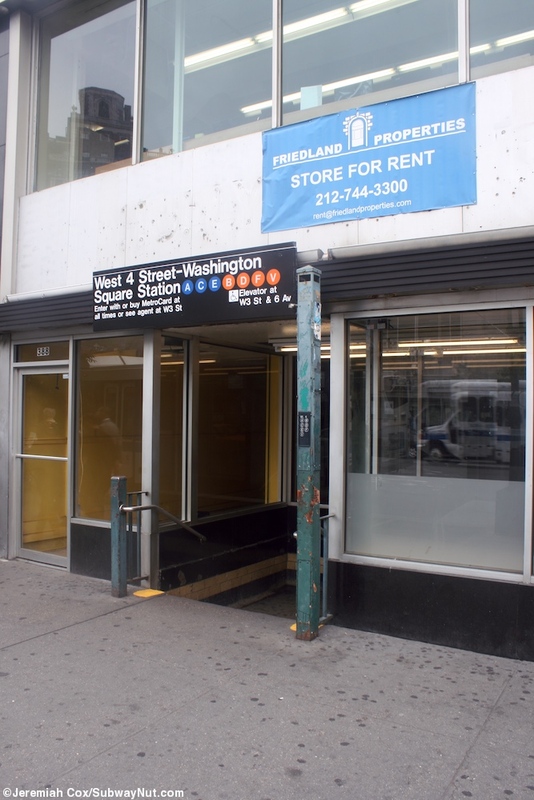 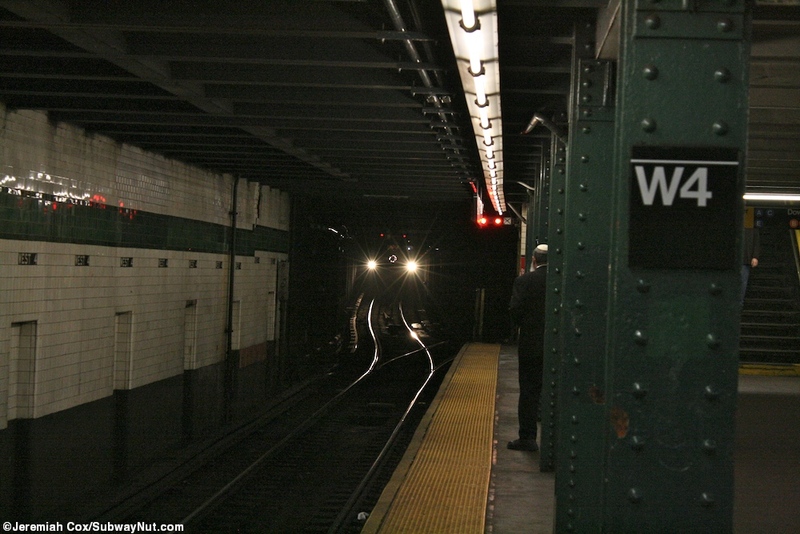 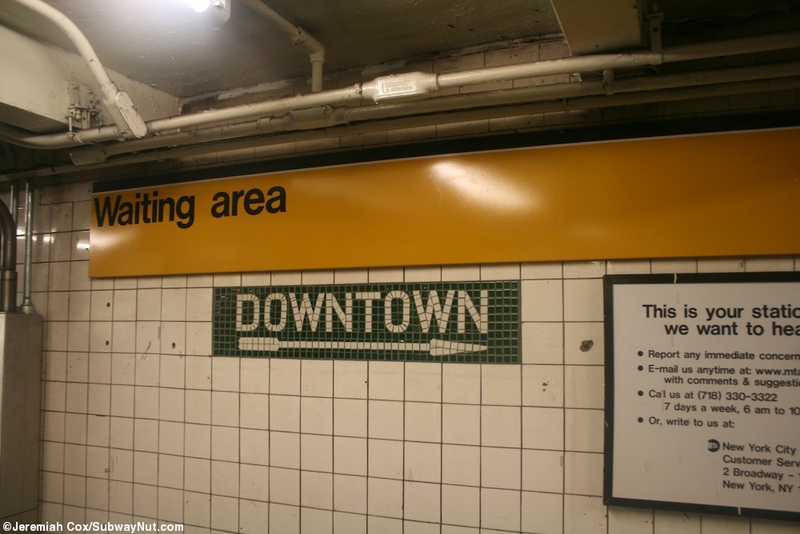 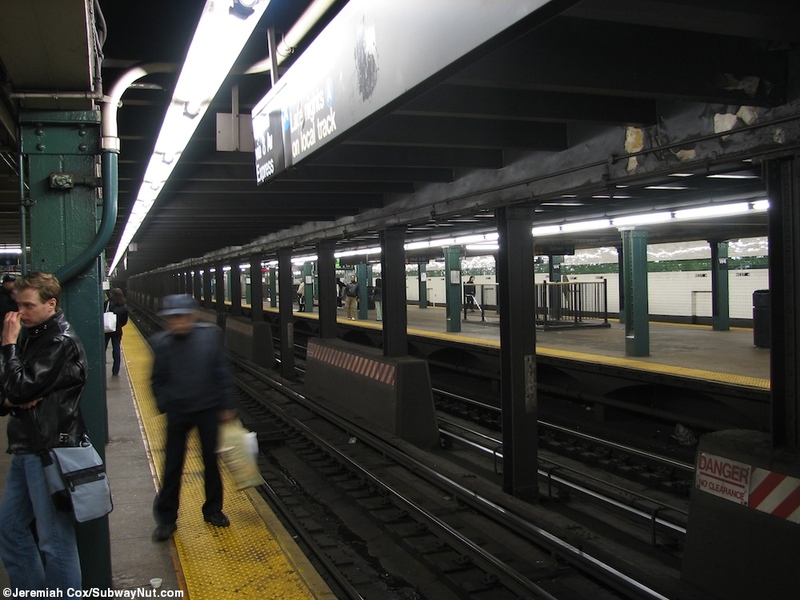 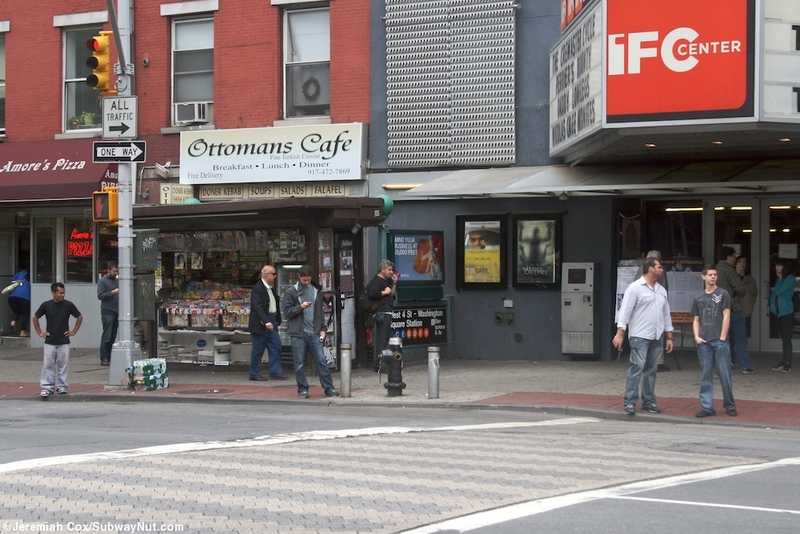 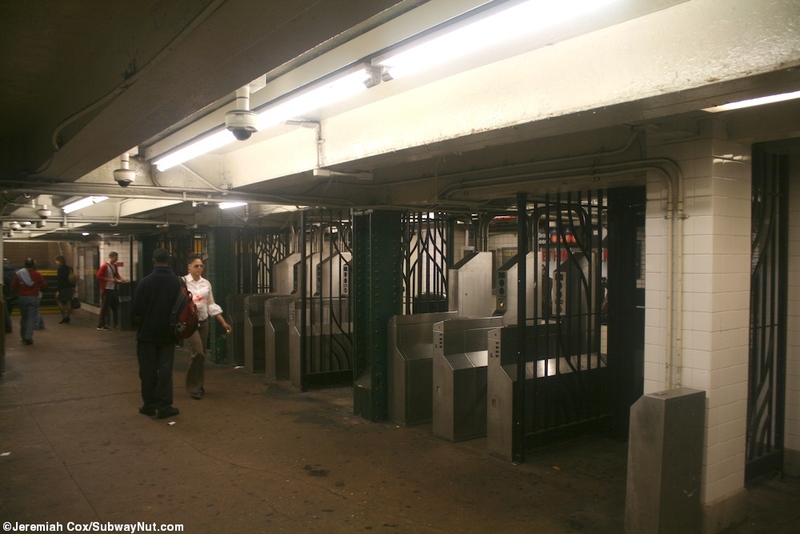 The uptown platform leads to some unstaffed turnstiles and two entrances inside the storefronts along 6 Avenue one right near at the NE corner of 6 Avenue and Waverly Place and another midway up the block towards 8 Street. 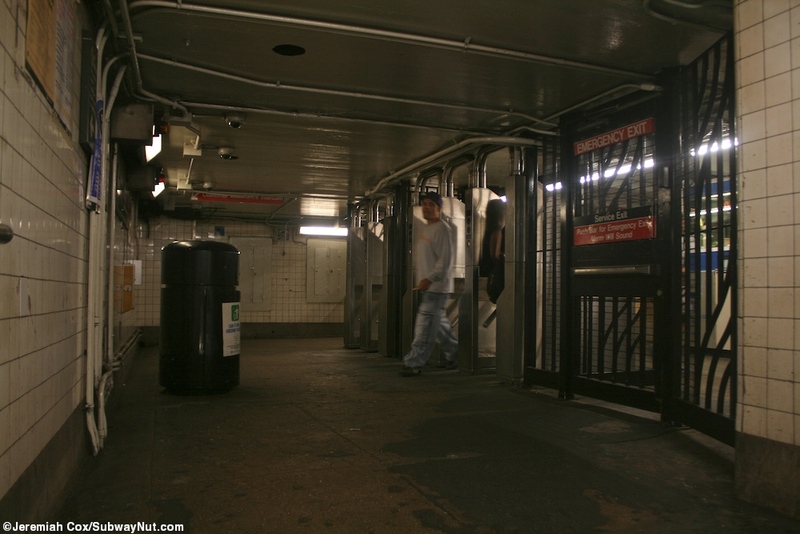 The downtown platform leads to some high turnstiles and a single streetstair at the NW corner of Waverly Place and 6 Avenue. 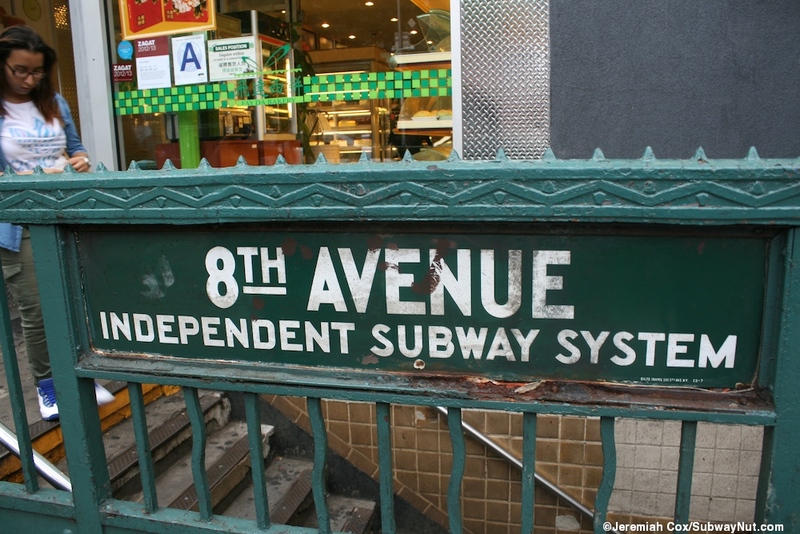 September 2011 Update: the streetstair on the west sidewalk where 3 Street ends has an original 1930s IND sign, this was revealed when a newsstand was removed from the street fomerly blocking the sign.